We incorporated great ingredients like Avocado Oil, Allantoin and more into a formula that is stable, light and versatile! Our great, in-house lab team has done it again. After researching current trends and beauty product ingredients, one item consistently stood out. 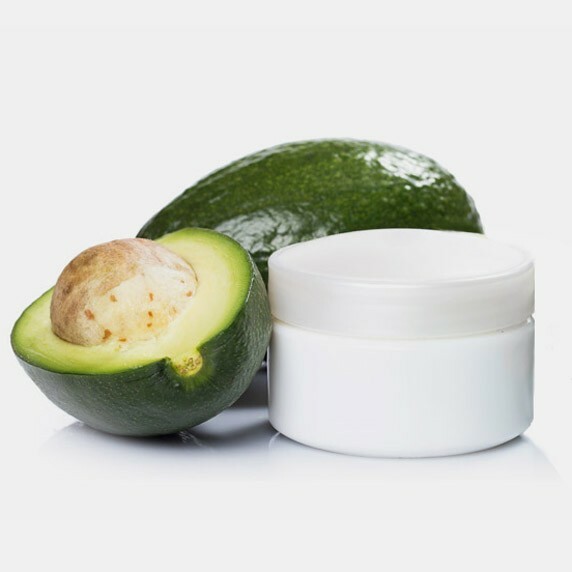 Avocado Oil is fast becoming a must have ingredient for your skincare product lineup. It has an incredible range of benefits! Our Avocado Oil, cold press extracted from the fruit's green pulp, is of the highest quality available and provides the base for our luxuriously light and rich Avocado Body Butter. Although it is classed as a vegetable, the avocado is really a fruit since it has a stone. It yields a rich and extremely deep penetrating oil, rich in vitamins A, D and E, lecithin, and potassium. It also contains proteins, beta-carotene and more than twenty percent essential unsaturated fatty acids including palmitic, palmitoleic, stearic, oleic and linolenic. Rice Bran Extract contains fatty acids and vitamin E which makes it a great ingredient for moisturizing skin. The Squalene and antioxidants present in rice bran evens skin tones and leaves you with fresher, younger looking skin. Rosemary has always been popular in the bath body industry for its aromatic oil and is valued for its moisturizing capabilities. Extracted from sunflower seeds. The antioxidants present in sunflower extract shield your skin from environmental stressors. Sunflower Extract is also known to help with inflammation. Originally derived from the Comfrey Plant. Not only does Allantoin help skin lock in moisture, it also encourages skin to shed dead cells and grow new ones, promoting healthy cell development and preventing dull, sallow skin. Glycerin is a skin-identical and skin-repairing ingredient, meaning it is a substance found naturally in skin. It is one of the many substances in skin that help maintain the outer barrier and prevent dryness or scaling. Our Avocado Body Butter is amazing as is but it can also be fully customized by adding one of our great scents or additives. Directions for use: Apply liberally to hands and/or body. Not intended for use on face. Great Product, I have ordered from several company's over the years and have found that Essentials by Catalina is the best for quality, service and price. I have never been disappointed when I have ordered a product from this company. This is amazing, so silky and smooth, leaves skin feeling nourished and hydrated. Great to use anytime, and especially after a scrub. This product is full of high quality ingredients & is great with scent or without. Have received rave reviews on end product. Everyone who tried this LOVES IT a best seller for us, even men love it. Thanks Essentials for helping us grow our brand. I have tried many lotions and everyone is right. Essentials by Catalina has the best Lotion Bases and this is the best of them all. Never a problem, just scent and sell, what a relief! Thanks you so much! !